Live in Fairfax County but still have an out-of-state license plate? No fair, county officials say. News4's Adam Tuss has news of a crackdown that's in the works. Has a car with out-of-state plates been parked on your block for ages? Fairfax County, Virginia, wants you to report your neighbors if you believe their cars aren't properly registered. The county is seeking to double staffing of its Target program, which enforces personal property tax laws. 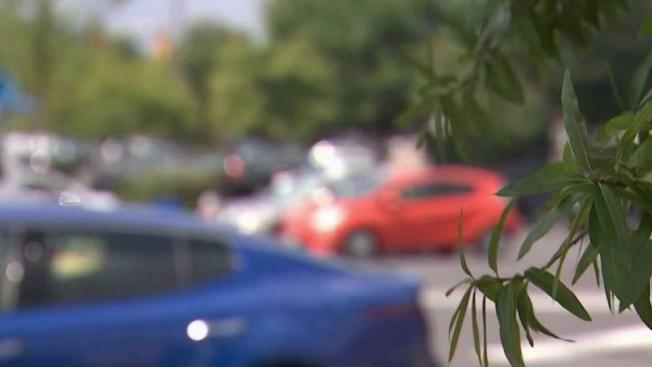 Residents can anonymously report cars that appear to be improperly registered. The county says people who live in Virginia but have Maryland plates are the worst offenders. “Everywhere I look in the county, we are flooded with Maryland cars, in particular, and many of them are living in Virginia and avoiding taxes," county Supervisor Jeff McKay said in a statement. "That’s unlawful and has to end." Plates for D.C., Florida, Pennsylvania and Texas also rank high. The county gets about 18,000 tips every year about cars that are believed to be registered improperly, Juan Rengel of the Department of Tax Administration said. The department is able to assess only 14 percent of tips. The county requires a vehicle owner to register within 60 days. Military vehicles are exempt. Some residents said they would report their neighbors for breaking the rules. Others said they would mind their own business. "They don't know your circumstances," one woman said.